This is a much faster paced action ride about stealing cars that removes about all of the things that were so irritating in the original. Don’t even think about fastening your seat belts. (Try to) Remove all of the things that irritated me about the movie & pick up the pace. If you watch the original trailer, its like the film released has shifted from a slick, summer action flick in the vain of other Cage / Bruckheimer vehicles & a big budget homage to the H.B. Halicki Original, To a more family accessible night at the movies. I'm sure they saw the PG-13 money horse here, but the movies about stealing cars!!! & the end is a 30min Joyride!!! I'm pretty sure reshoots & lots of re-re-edits ensued. This is all I saw when I first watched it (More common today) & it really bugged me. Cut to 2008 & I find Fanedit.org. That inspired me to give this a shot. So I went trough the movie removing & re-ordering everything that irritated me, then I did it again. What came from it is, the closest I can get to, (what I think) the original idea for the film was. Obviously its still got a ton of problems (i.e. some of the looping to get rid of swearing). & not colour corrected like I would like (Would love to go through & make it less blockbuster looking) but its pretty much there. 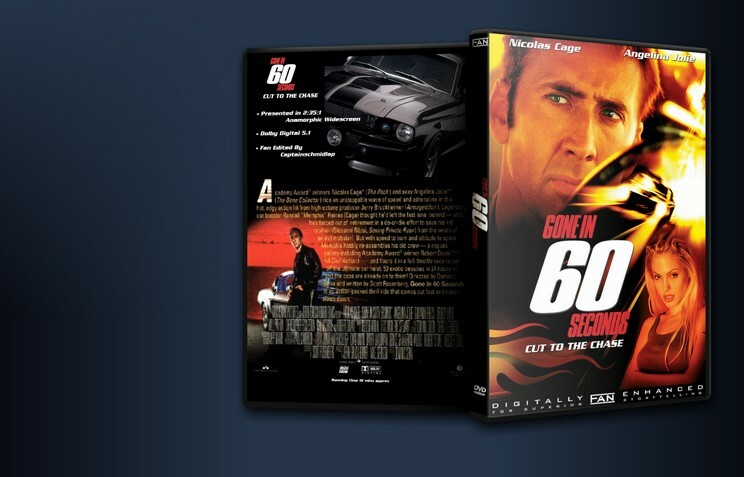 So for my 1st fan-edit I present Gone In 60 Seconds – Cut To The Chase. Hope you enjoy. Thanks to JMB for his Batman Begins: Dark Cut which made me finish this. - Removed ‘Tumbler’ baseball scene..
- Removed ‘Kip’ racing a guy while on a boost. - Added New Opening Credits. - Removed Various bits & bobs to speed up the pace. - Removed alot of Dialogue by Raymond Calitri..
- Removed bits from Kip & Memphis breakfast scene. - Removed ‘Music’ when Memphis is talking to his mother. - Removed Various from the Auto & Memphis Scenes in the workshop. - Removed Music & Various Bits from ‘Assembleing the team’ skits. - Added ‘Meet the team’ track by Trevor Rabin from the Score Soundtrack. - Added ‘Save Me’ by Aretha Franklin. - Removed ‘Out Side The Bar Fight’ & Johnny T. The whole ‘Johnny T’ subplot has been removed. - Removed Music from ‘Kip & Memphis on the porch scene’. - Added more of ‘Too Sick To Pray’ by A3 from the CD Soundtrack. - Removed Various Dialogue from the ‘Meet The Younger Team’. - Added ‘Dog Footage’ from a scene cut later. - Removed Various from ‘Team planning’ Scene. - Added ‘Papa’s got a brand new bag’ by James Brown to the Memphis & Car Dealer segment. - Removed Various from ‘Meet Eleanor’ scene. - Removed Johnny T Subplot. - Removed & Re-Ordered Various from the ‘Boosting Cars’ Segments, Including deleting The ‘Dog Poop’ sub plot. - Added ‘Redemption Song’ by Bob Marley. - Removed & Re-Ordered Various from ‘Boosting the last few cars’ Seqments. - Removed, Re-Orded most of the ‘Eleanor Boost’ sequences. Including ‘Breakdown’ & ‘Outrunning the chopper’. - Removed Various from the Final scene. - Added ‘Not Fade Away’ By The Rolling Stones. - Added freeze frame to last shot. - Added Additional Credit Card. A slick Fanfix that improves the original quite a bit. The cuts are done with care and aren't intrusive neither visually nor aurally. Nothing felt missing and everything made sense. The video quality is what it is, but you get used to it. 90 minutes of fun, skillfully put together by Captainschmidlap! 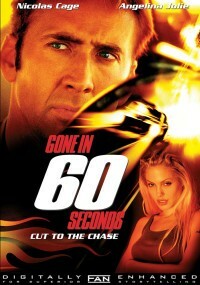 I enjoyed the faster pace and the editing decisions. No plot holes and ti’s just a fun ride. If there was a DVD version, the video quality would be better and would get an 8 from me. As it is, the AVI is decent enough quality and giving it a 7.